If you get your TV signals via satellite or are merely planning to do so in the future, there will come a time when you will need to align the dish. You might opt to install the satellite dish yourself, or you may face a situation in which inclement weather blows an already installed dish off course. 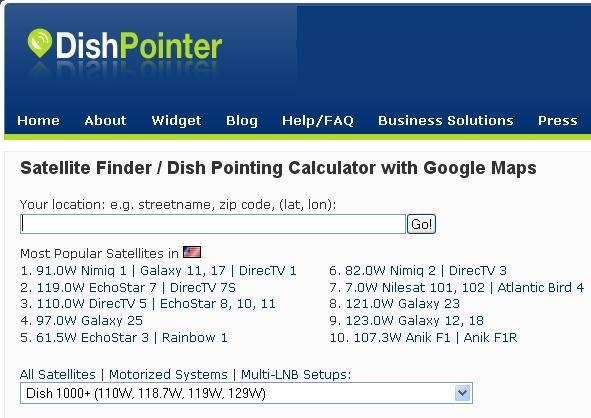 Whether it's installation or correction you're trying to pull off, read on for tips on how to adjust your dish. Connect a coax cable from the outlet on the dish to the "To LNB out" outlet on the signal finder. Connect another coax cable to the "To Receiver" outlet on the signal finds, and connect the other end of the cable to your receiver. Slowly turn the dish left and right until the readings on the meter peak out. Pay close attention to the meter and turn it in the direction from which it receives the strongest signal. Find the signal's peak and elevation by pointing the dish up or down as you follow the strongest signal. Keep your horizontal position as you adjust the vertical. Follow the link in Resources to DishPointer and enter your address in the box labeled "Your Location," then click the "Go" button. Write down the elevation, azimuth and dish skew. Use the onscreen map to get a general sense of the direction in which to pinpoint the dish. Enter the setup menu on your receive to access its built-in signal finder. Consult your manual for specific direction on how to access the signal finder. Rotate sour satellite so the onscreen variables fit the one obtained from DishPointer. 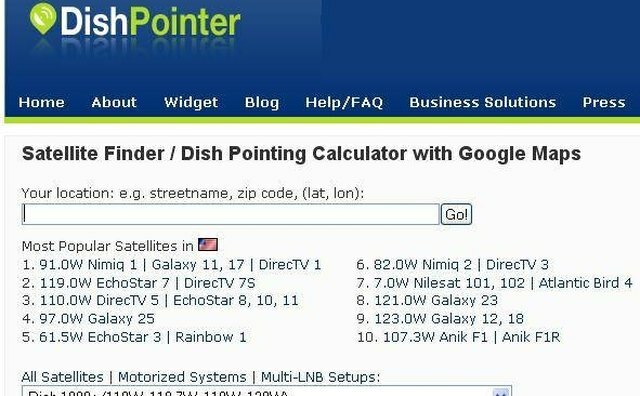 If your receiver doesn't include a signal finder, use a compass as your guide as you adjust the dish to the variables taken from DishPointer. Try boosting weak signals with a high-gain signal amplifier. You can purchase one at your local electronics store.